Romeo Cooks 8-inch Chef Knife has received glowing reviews from kitchen product reviewers, and now it’s available on Amazon. One of the most talked about kitchen accessories has been launched on Amazon providing a perfect gift for those that like to cook. Romeo Cooks 8-inch Chef Knife has gained national exposure since it was introduced to the market, and now it’s gaining glowing reviews on Amazon. 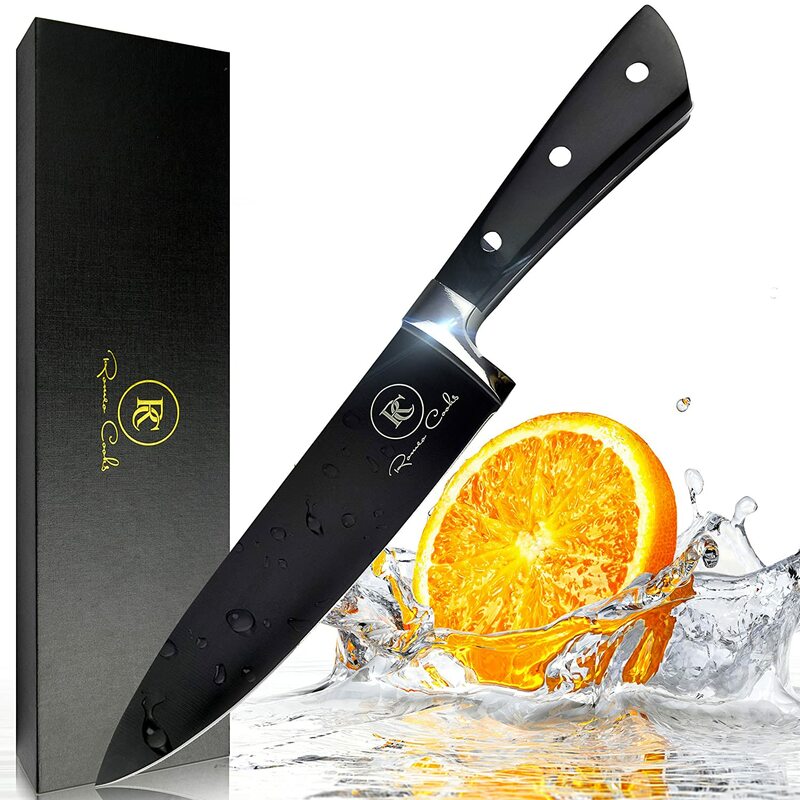 The Chef knife which would look good in any kitchen is made of High-Grade Stainless Steel and provides people with a Razor-sharp knife that is perfect for cutting up meat and vegetables. It has been credited as being one of the best on the market, and as well as being found in homes all over the USA, it can also be found in professional kitchens. The current price of the Professional Romeo Cooks 8-inch knife is $69.99 and comes with a sharpener. It has carefully been designed to not only look good but to be easy to use without putting any pressure on while cutting. With a price so low, it allows a person to purchase one for themselves and buy one for a loved one as the perfect gift. Unlike many other similar products on the market, the Professional Romeo Cooks Chef Knife comes with a three-year warranty and is made to last a lifetime. The professional Chef knife which would look good in any kitchen has received lots of reviews, those include on Amazon. The professional kitchen knife continues to receive positive reviews on and off Amazon, making it one of the most talked about kitchen accessories of 2018.